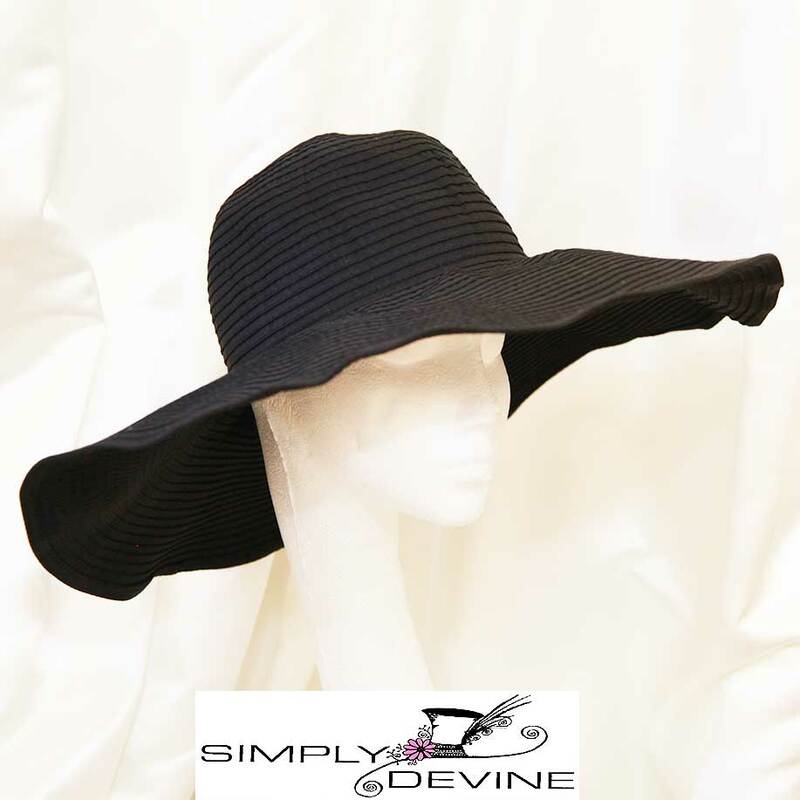 Useful sun hat in ribbed black petersham. Perfect for packing for your summer holidays or for sunny days at home. 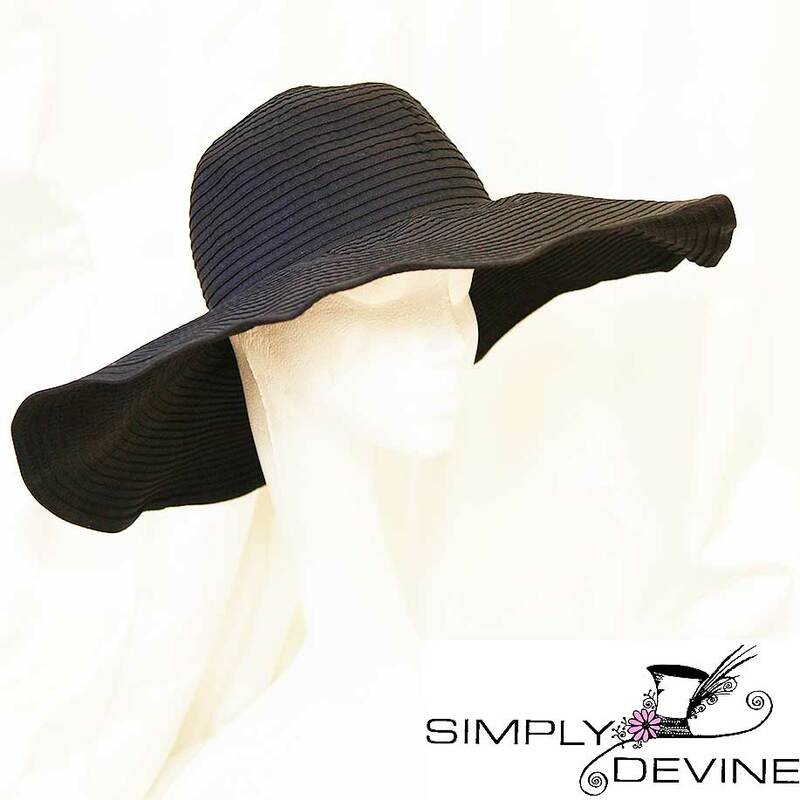 This versatile sun hat folds down flat - so easy to pack in your suitcase, and won't get crushed as straw ones do! 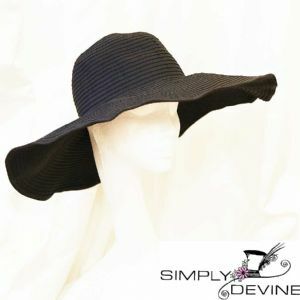 Also available in white, sunshine yellow, navy and hot pink.